Fashion's Sweethart: Buy Local, Buy Smart, Buy Less. Buy Local, Buy Smart, Buy Less. Last year I gave up drinking alcohol & pushed myself to explore more of Australia. I've been rattling my brain trying to come up with a new challenge for this year and I finally have it. 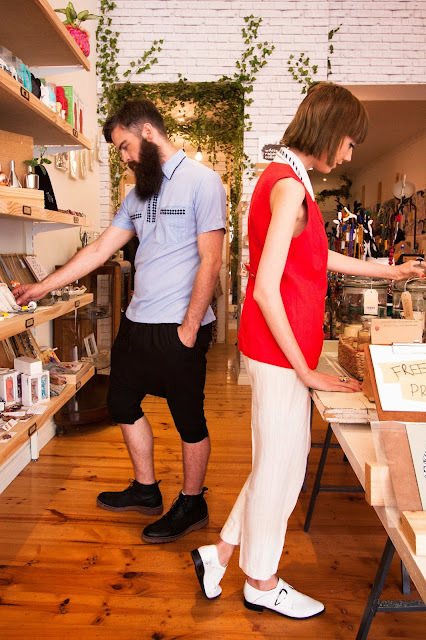 This year, 2015, my task is to only buy clothing and accessories from Australian designers. Of course, being in Italy for the past few days has made this a little difficult, so I've given myself a slightly delayed start and I'll be starting as soon as I land my feet back on Australian soil. In true Sweethart fashion this means that my new challenge will run until the end of January next year (2016) as I'm not one to skimp out and only "half do" a challenge. This shall be interesting, but with the abundance of markets and pop up stores producing beautiful Australian made collections, it shouldn't be that hard should it?